It’s finally done. 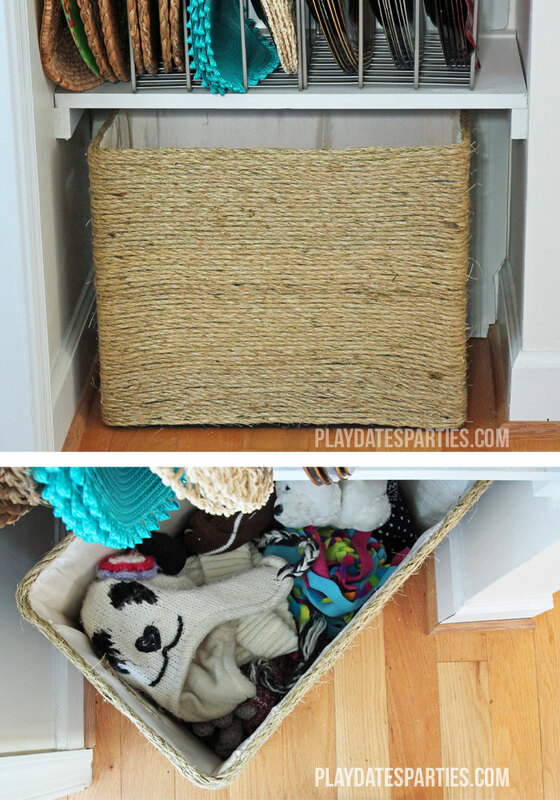 Who knew that cleaning out a linen closet and small built-in storage nook would take so much time and effort? 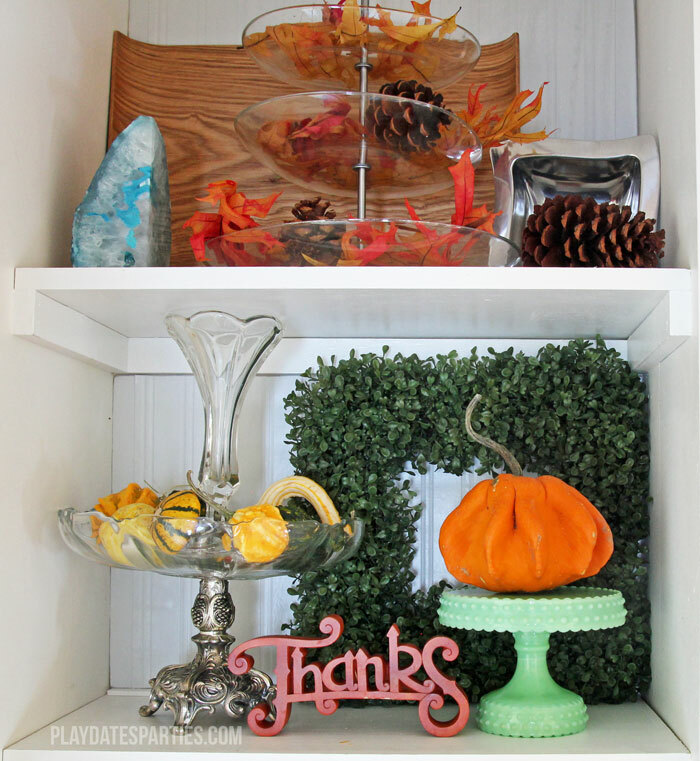 But I’m in love with the final results of this fall’s One Room Challenge. And apparently, so is my 7-year-old. She’s been caught staring at the storage nook, saying how much she likes it. That’s probably the best endorsement I could get. It may look like a glorified bookcase, but it’s so much more. 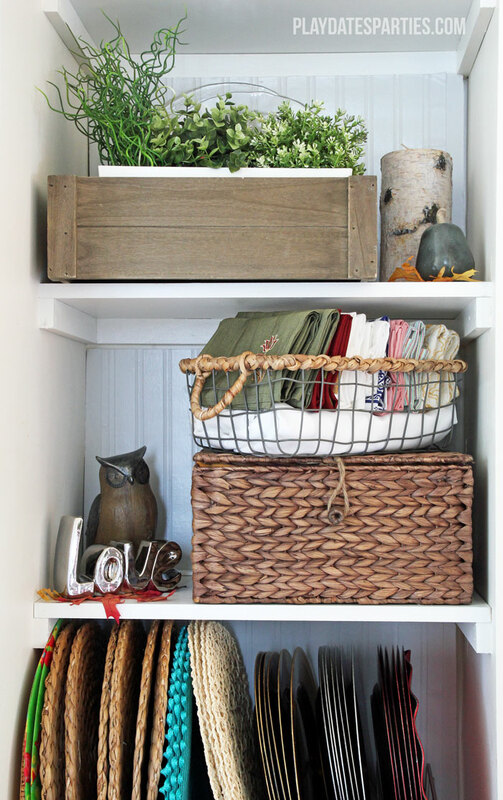 I love that it provides plenty of storage with a few little spots to decorate for each season. I had a lot of fun decorating for Thanksgiving in a couple weeks. Spring ought to be a lot of fun with plenty of flowers, too. Most importantly, though, it acts as open storage for many of my party supplies and food photography props. Since I do most of my photography right down the hall in the kitchen, this is much more functional than going downstairs and searching through the storage room for props. The new DIY twine-wrapped box on the floor is also super functional. 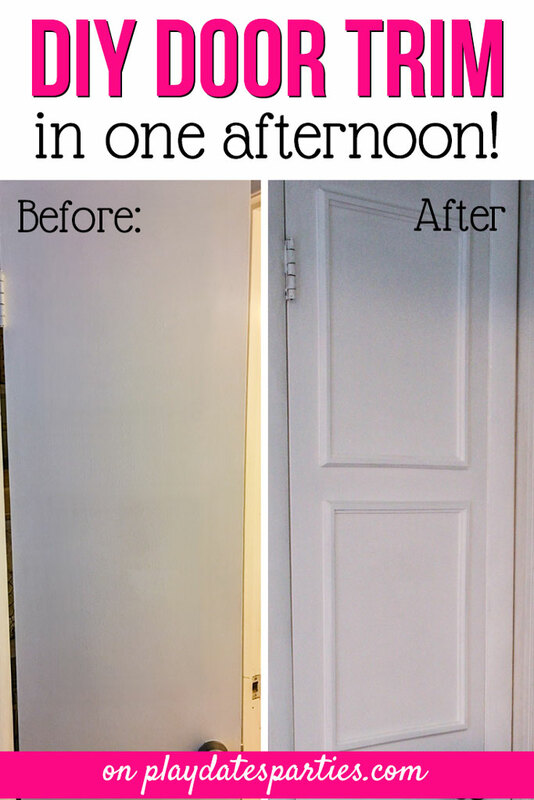 In the before and after pictures above, you can kind of see the coat hooks in the hallway just to the right. This box is where we’ll keep everyone’s hats, mittens, and scarves during the winter. Having all of those warm items right around the corner will make them easy to grab. And that’s so important on busy school mornings! I also found a way to sneak in some of my platters, trays, and an epergne passed down from the Husband’s aunt. Have you ever heard of an epergne before? I had no idea what it was until I saw this one. They are very traditional serving pieces that are meant to hold both flowers and finger foods at the same time. Isn’t it beautiful? I’m thrilled to finally have it on display. The epergne and 3-tier server are the perfect spots for a little bit of seasonal decor. I just love how the knotty and funky gourds look on the ultra-traditional epergne. And I can easily imagine festive holly and garland filling the space as well. As much as I love my new storage nook, most of the work went toward purging and reorganizing the linen closet. 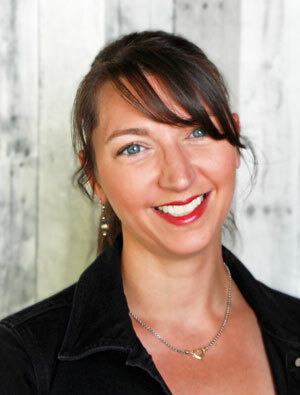 That narrow 24-inch-wide and 14-inch deep closet was overstuffed with too many towels, numerous outdated medicines, and countless items that we never used. I know that it seems silly to think of design for a linen closet, but if you love the way a space looks, you’re more likely to keep it clean and organized. Follow these steps to identify your design style and keep that in mind for the rest of the organizational process. Arguably the most fun part of any clean out, purging your linen closet the right way will make the rest of the process significantly easier. 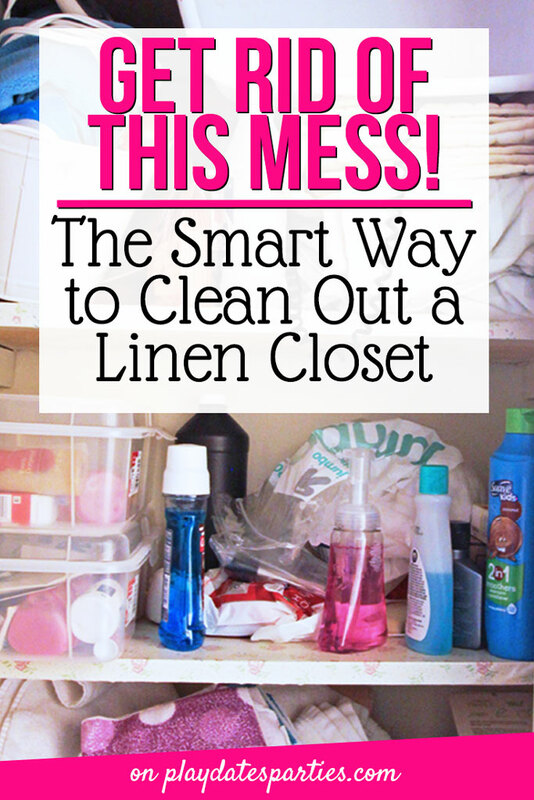 How does your family currently use the linen closet? Are items put back where they belong or dumped wherever there is free space? Will your family members maintain a system that is hyper-organized, or do you need to find a middle-ground where items can be tossed in without making a mess? 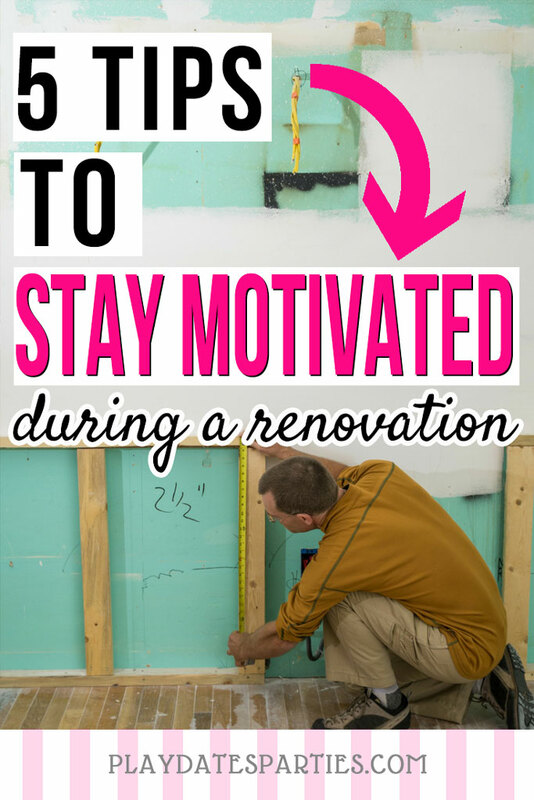 There’s no point putting an organizational system in place that won’t or can’t be maintained by everyone in the household. If you have little ones or pets in the house, make sure your plan focuses on their safety first. Put locks on the door and keep medicines and cleaning solutions on the highest shelves, out of reach of little hands. Don’t think that you have to sacrifice style for safety, either. These apothecary jars look like glass but are actually kid-safe, shatter-proof acrylic. 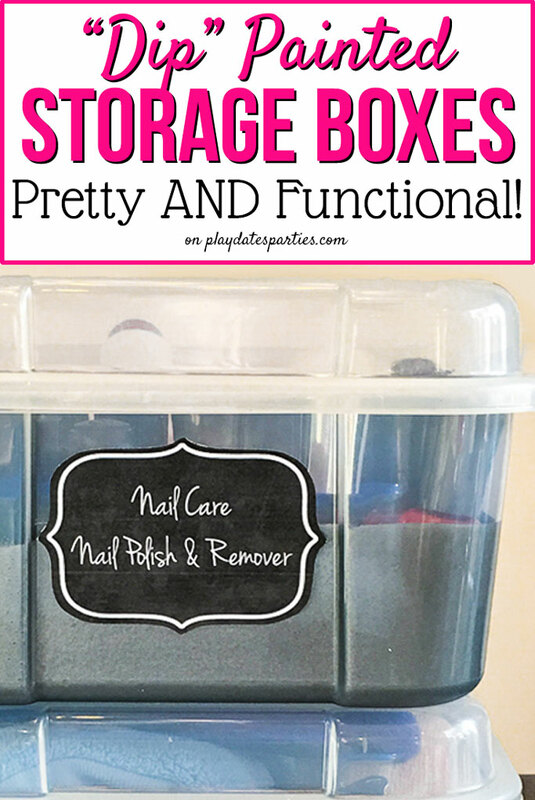 Closed and lidded storage – Best for things you don’t use very often, closed and lidded storage keeps items from getting dusty, and also limits visual clutter. Trays – Clear plastic trays are perfect for items like bottles that can tip over, but that you need to access often and quickly. 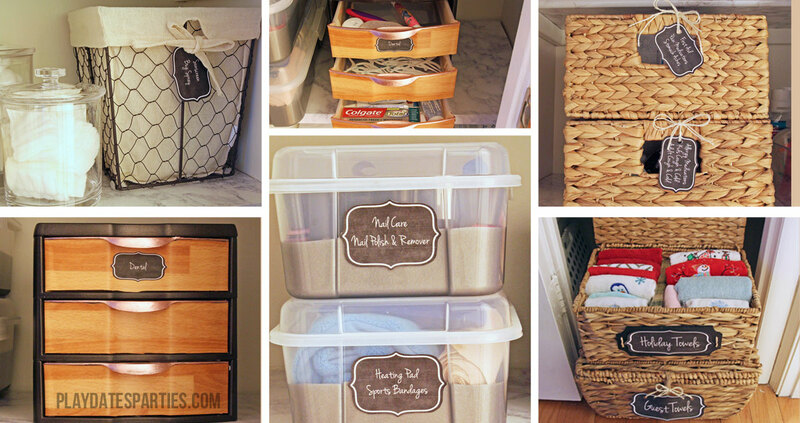 Drawers – Like baskets, drawers are great for keeping smaller items organized. 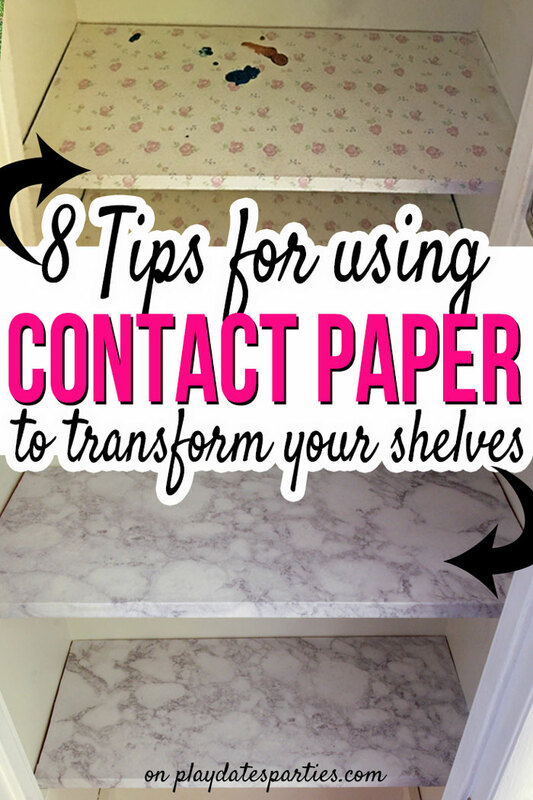 They are especially helpful for items that can cause clutter, but need to be accessed frequently. We use these drawers to hold flossers and the kids’ extra toothpaste tubes. Be wary of creating more junk drawers in your home. Clear Jars. 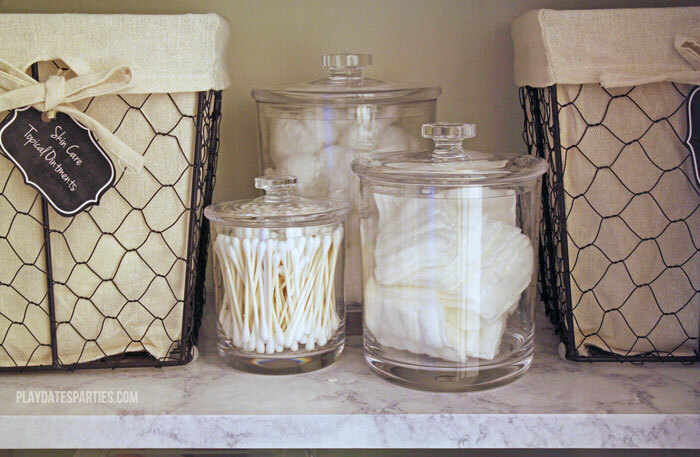 Glass jars are a classic way to contain small items like q-tips and cotton balls. Truthfully, any small, irregularly shaped collection is a great option for clear storage like apothecary jars. 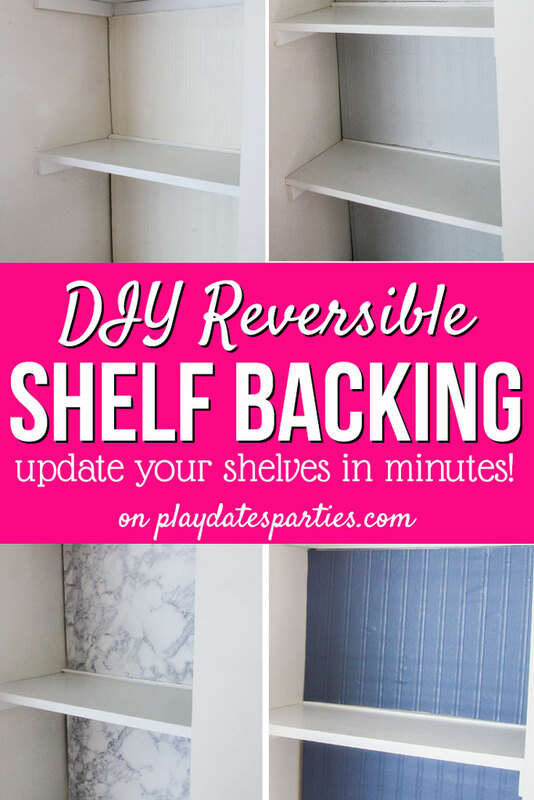 Door Shelves and Towel Bars. Maximize storage space by adding shelves and towel bars behind the door. We opted not to add a shelf on the door because it would be too deep for our other storage containers, and we would likely use it as a place to dump items instead of putting them away properly. We do love our new 15″ Ikea Grundtal rails, which act as towel rods for hand towels. 6. Put everything in its new place. Take everything out of temporary storage (from step #2) and put it all in the storage solutions found in step 5. Arrange and rearrange in your closet until you have a set-up you love. Linen closets are often dark and hard to see. Adding a motion-sensor light at the top of the doorway helps you see without turning on all the lights in the adjacent rooms. To ensure that all your hard work doesn’t go to waste, add labels to your containers. 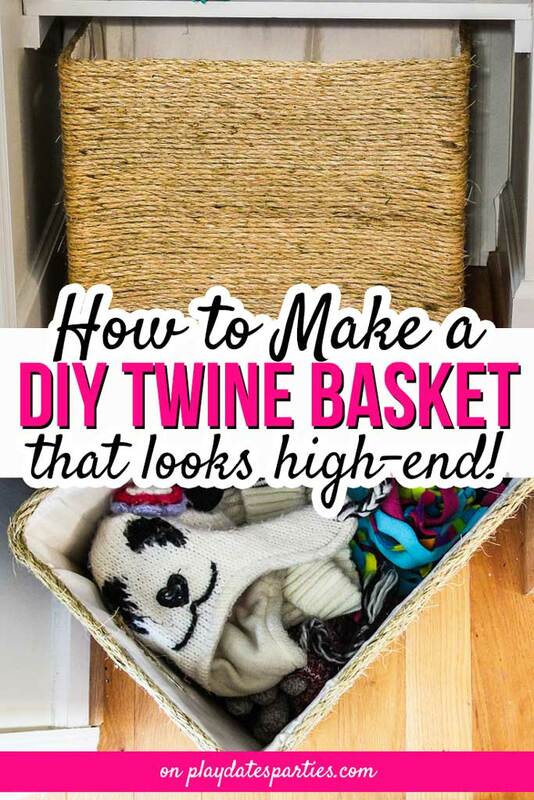 Use twine or ribbon to add labels to baskets, while double-sided tape works perfectly for flat-front boxes. 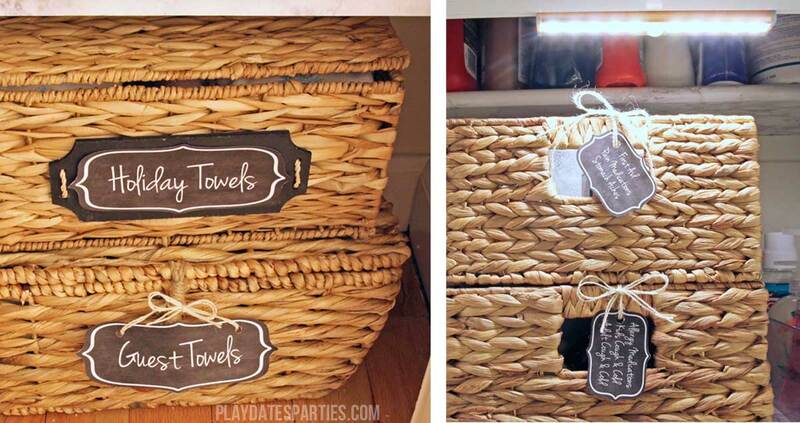 You can get your own blank copies of the chalkboard labels you see on all my baskets in 4 different sizes! Sizes range from tiny 1″ x 1.75″ labels all the way up to 3″ x 2″ labels that are perfect for medium sized baskets (and most pantry storage bins, too). If you have editing software like Photoshop, you can add your own text, or you can use a paint pen to add your labels. To get the labels, you just need to input your email address in the form at the end of this post. You will then be subscribed to the bi-weekly newsletter and you will get access to these labels at the printables library. Plus, access to the printables library means that you will get to download every other printable offered on this website, including holiday and inspirational printables for your home. This makes my OCD all kids of tingly!! This is gorgeous and I love those labels! Congrats on an amazing reveal! Fantastic! It looks so pretty, plus functional! My storage world is a sad place right now. I needed this plug to inspire me to do something about it! Oh my. 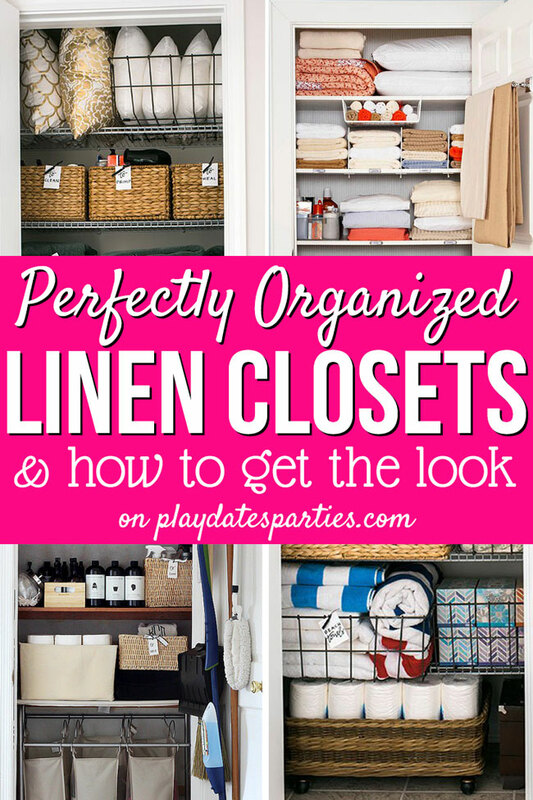 You just may be the first blogger to actually inspire me to organize my linen closet! I am NOT an organized woman by nature. People like yourself often don’t think about that when posting pictures of their tidy closet/room/whatever. The fact that you posted step-by-step tips was not lost on me! I appreciate your posting this! 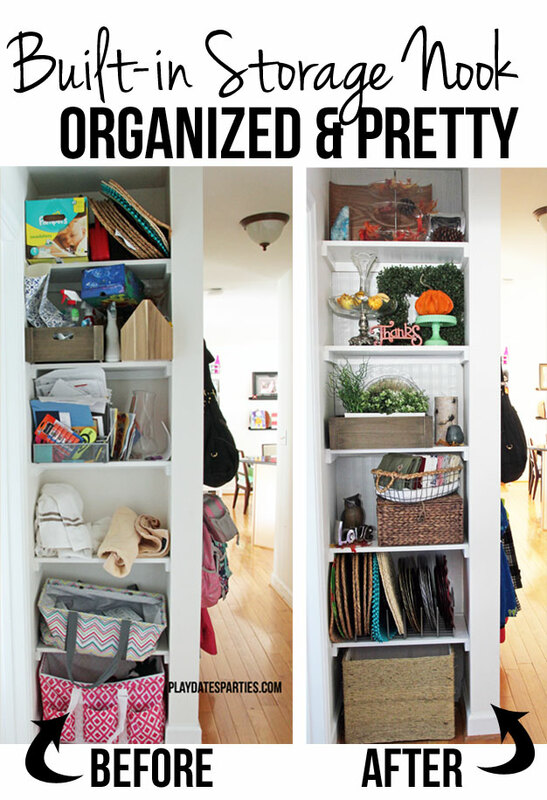 I need to do this with my work closet. I had it pretty organized when i first moved into the office, but 3 years later….yikes! 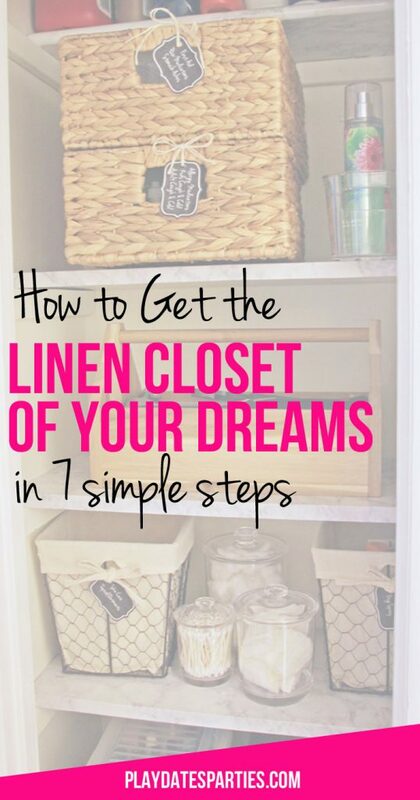 You’re making me want to redo my linen closet! I love that twine wrapped box the different containers. I have one of those plastic shoe organizers in my linen closet and I think it makes it look cluttered rather than organized. I may take another go at it with your tips in mind!